Even if you do not suspect a leak, it is still a good idea to check your roof at least once annually for signs of damage. The longer that damage is left un-addressed, the more significant and expensive of a problem it can become in the future. In checking your roof, it is generally a good idea to consult with an experienced roofing contractor who can assist you in ensuring a comprehensive check of your roof. If you prefer to perform an annual inspection on your own, keep the following guidelines in mind. Begin by ensuring you use a sturdy ladder and that it is positioned on solid, level ground. To prevent the ladder from slipping, secure it at the top. Once you are on the ladder, check your roof for the following potential signs of damage. Look for roof tiles that appear to be buckling, blistering, or cracking. Such signs usually indicate that the tiles are nearing the end of their life expectancy and that it will be time to replace a section or your entire roof soon. 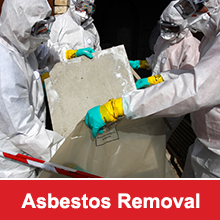 Also, look for wear or loose materials near the pipes, chimneys, or other roof penetrations. Any damaged, loose, or missing roof tiles should be repaired or replaced immediately. If you are not comfortable with the idea of working on your roof, do not hesitate to contact an experienced local roofer to assist you. Waiting to replace missing or damaged tiles on your roof is inviting trouble and could result in more expensive repairs later on. While you are on the ladder, now is also a good time to clean your gutters and look for excessive build ups of materials that might be classed as a fire hazard. If your roof has been constructed using steel sheeting like Colorbond, look to see if there are any areas that are pooling water and that all of the seals are still intact and have not degenerated. You may also like to check to see if there are any areas that are blistering and in need of repair. While Colorbond Steel has been made particularly for the harsh Australian weather, it is still worth having a look. Along with inspecting the actual roof, it is also important to inspect the flashing on your roof as well. In particular, look for rust spots or cracked caulk. Remember that flashing is used to prevent penetration near seams, such as near chimneys or air-conditioning units. If the flashing on your roof is damaged in any way, this can lead to leaks in your roof. Checking the exterior of your roof once a year is an excellent way to head off problems before they become severe. It is also a good idea to keep an eye on potential signs of trouble in your home throughout the year. Possible signs of trouble may include dark areas appearing on the ceilings, peeling paint beneath the roof overhangs, and damp spots appearing near fireplaces. Inspecting your roof annually can help you to get ahead of problems before they become more severe and expensive to repair. If your roof is 15 years old or older, it may be time to consider replacing it with a new and longer-lasting roofing solution. 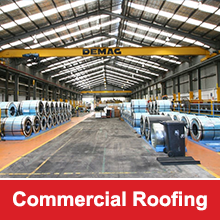 If you have a large industrial, residential or commercial roof and would like an experience roofing contractor in Sydney to come out and have a look at it, get in touch with us at R.O. Steel Roofing today. We have the experience and knowledge to know what to look for and will be able to spot areas that might be of concern. If we catch them before they do any real damage it might help save your business, your operation or your stock. Call us on (02) 9660 5937 or send us your enquiry through our contact form.